Students Visit the Pollinator Meadow! In the late spring of 2016, Birches students helped plant a large pollinator meadow on Lincoln Land Trust property. The meadow has thrived and now students visit to make observational drawings and to study the many pollinators attracted to this habitat. 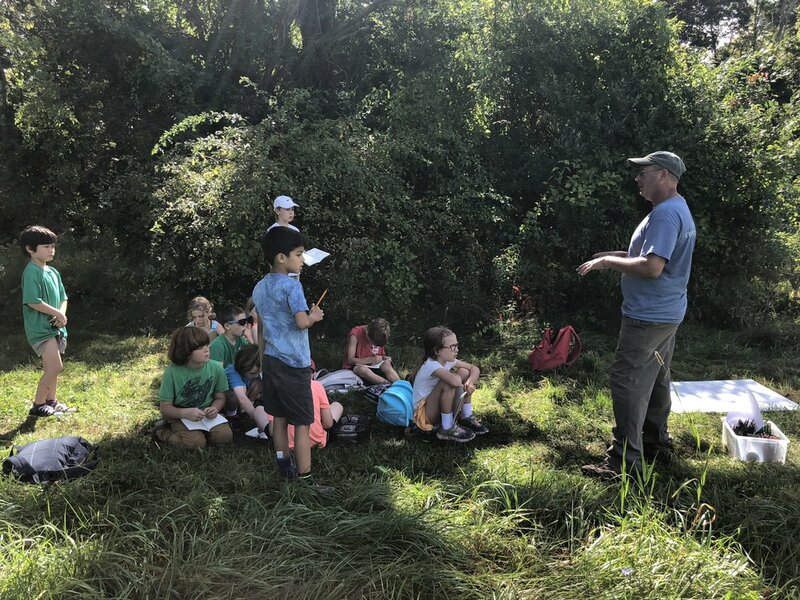 Tom Gumbart, the Conservation Director of Lincoln and the Birches Earth Science Advisor, sometimes meets our students at the meadow to share his thoughts and observations, as you can see below. We plan to plant our own pollinator gardens at our new home at 100 Bedford Road when we move there next spring! Newer PostKindergartners and 1st Graders Climb Trees! Older PostA Whole-School Field Trip to Winter Island!